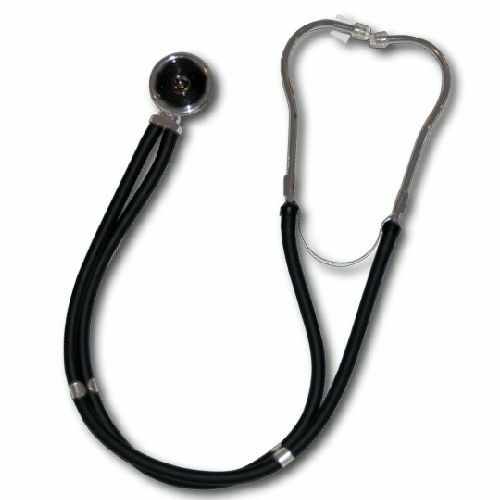 This Emergency Medical International Pro stethoscope is the right choice for medical professionals. EMI Introduces the Pro Sprague rappaport type stethoscope with it’s color coordinated head and tubing. The Pro Sprague’s threaded chest piece drum permits the use of fine interchangeable chestpiece fittings, an adult and pediatric diaphram and three bells. The double tube configuration allows for improved acoustic separation, and it also has adjustable chrome plated binaurals. The Pro Sprague accessory kit contains 3 bell chestpieces, 2 spare diaphrams and a pair of mushroom and silicon ear tips. It’s 22" tubing length comes in three attractive colors. The Pro Sprague Stethoscope is the choice of all EMI professionals.